Munich (München) is Germany’s third-largest city and offers a uniquely traditional charm combined with a modern, innovative business culture. Among its many universities are two of the world’s most reputed institutions. As the capital of Bavaria (Bayern), Germany’s largest state, it is located in the country’s far South, close to the border to Austria. Although strictly speaking a metropole in size, with more than 1.4 million inhabitants, many corners of Munich have a distinctive small-town vibe. That is how the city earned its nickname, “Germany’s largest village”. In many ways, Munich is a city of contrasts. On the one hand, a relaxed, laid-back Bavarian way of life is prevalent, and the town has a very down-to-earth flair. 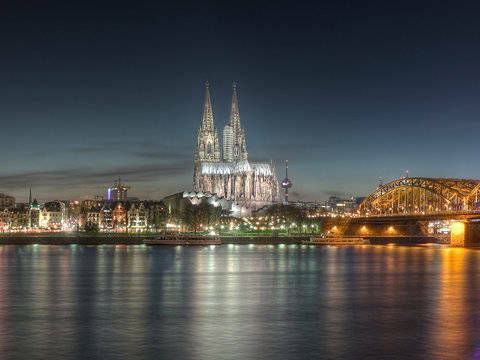 On the other hand, there is also the glamourous pomp of the olden days, and much of the city’s popular architectural landmarks will leave you in awe, such as the Cathedral (Frauenkirche), Nymphenburg Palace, the Maximilianeum, or the Court Garden (Hofgarten). For foreigners, Munich and Bavaria as a whole are often seen as representative of German culture. Misconceptions stemming from this often have locals of Hamburg, Berlin or other places shaking their heads, such as the absurd belief that Lederhosen are a common German clothing item for any place or time other than at Oktoberfest. In fact, most Germans consider Bavarian culture, customs and cuisine slightly if not significantly different - Bavarians would say “special” - when compared to the rest of the country. Football culture plays a big role in Munich. Local club FC Bayern München is the uncontested top dog in the Bundesliga, the premier German football league, and on par with Europe’s best clubs. Because of its success, it is by far the most popular club in the region, but undoubtedly by far the most hated anywhere else in the republic. The city’s other large club - TSV 1860 - has recently suffered through tough years, but still enjoys a large following. Both Bayern München and TSV 1860 play their matches at Allianz Arena, large enough for an audience of 75,000. If you study in Munich, be sure to catch at least one match by either team. It’s a spectacle you would not want to have missed! Amongst a range of options, Munich is home to two of the best universities in Germany. More than 50,000 students are enrolled at LMU Munich (Ludwig-Maximilians-Universität). It was founded in 1472, making it the oldest institution of higher learning in Bavaria. With world-class research and education, it frequently makes its way into the top 50 of global university rankings. Its engineering-focused counterpart, Technical University of Munich (Technische Universität München, TUM), likewise ranks among the best universities in the world. Its graduates regularly take prestigious entry-level jobs at local industrial giants like BMW, Audi, Siemens, but TUM also frequently spawns a number of successful startups. Valuing its ties to the industry as well as its successful startup culture, TUM recognises itself as “The Entrepreneurial University”. With dozens of English-taught programmes on offer, almost a quarter of the student body is international. If you plan to study engineering or computer science in Europe, TUM should definitely be on your shortlist of potential choices. Other study options include the Munich University of Applied Sciences with a broad range of practice-based programmes, the small and intimate Munich Business School with a handful of business and MBA programmes, and the prestigious Academy of Fine Arts. Prospective doctorate students in biology and neurology may also want to check out the PhD programme at International Max Planck Research School for Molecular and Cellular Life Sciences. 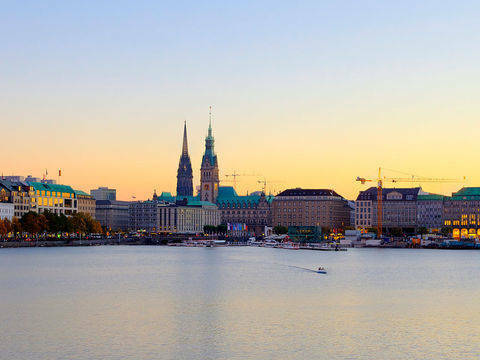 As anywhere when you study in Germany, you can expect a high standard of living. In fact, Munich has also often been ranked among the world’s top 10 cities for quality of life. But it comes at a price: The city is the most expensive in the country when it comes to rent and food. One of the few things you will find cheaper than up North is beer. That does not surprise, considering Bavarian’s love of a good brew, and the fact that the world-famous Reinheitsgebot (the German beer brewing purity regulation) was originally influenced by a local Munich law of the 1400s. Residents of Munich enjoy the benefit of a good and reliable public transport system. Many commuter train lines run from the city center via multiple stops into the suburbs, interwoven by a number of metro lines. There is also a dense network of bus and streetcar lines. In recent years, a student-friendly pricing model was introduced for students at the local universities. Munich’s airport is a bit far from the city, but as an important air traffic hub, it offers direct connections to almost 200 airports around the world. Much farther away, roughly one and a half hours by bus, Memmingen Airport offers a number of low-cost carrier connections to destinations particularly in Southern and Eastern Europe.